The Arab uprisings that erupted in 2010-2011 have typically been presented through the narrow lens of dictatorship versus democracy. In a region now wracked by conflict and displacement, Adam Hanieh argues that a full understanding of both the uprisings and their aftermath requires a deeper examination of the Middle East political economy. Forms of authoritarianism are a function of Arab capitalism itself, particularly as it has developed through the neoliberal period. The Middle East’s shifting integration with the world market – and the new patterns of uneven and combined development across the region – are profoundly impacting the nature of Arab capitalism as well as forms of political contestation. 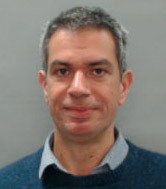 Dr Hanieh is a Senior Lecturer in Development Studies at the School of Oriental and African Studies (SOAS), where his research examines the political economy of the Middle East, with a particular focus on the Gulf Cooperation Council. He is an international advisory board member for the journal Studies in Political Economy and is the author of Capitalism and Class in the Gulf Arab States (Palgrave-MacMillan 2011), and the recently published Lineages of Revolt: Issues of Contemporary Capitalism in the Middle East. This entry was posted in 2015, Audio and tagged Adam Hanieh. Bookmark the permalink.